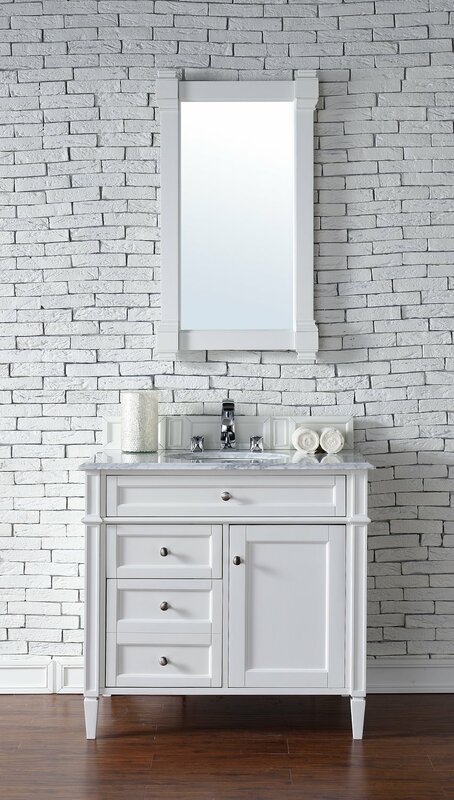 The Brittany 36″ Cottage White vanity by James Martin features classic details with bridge both Traditional and Transitional styles. 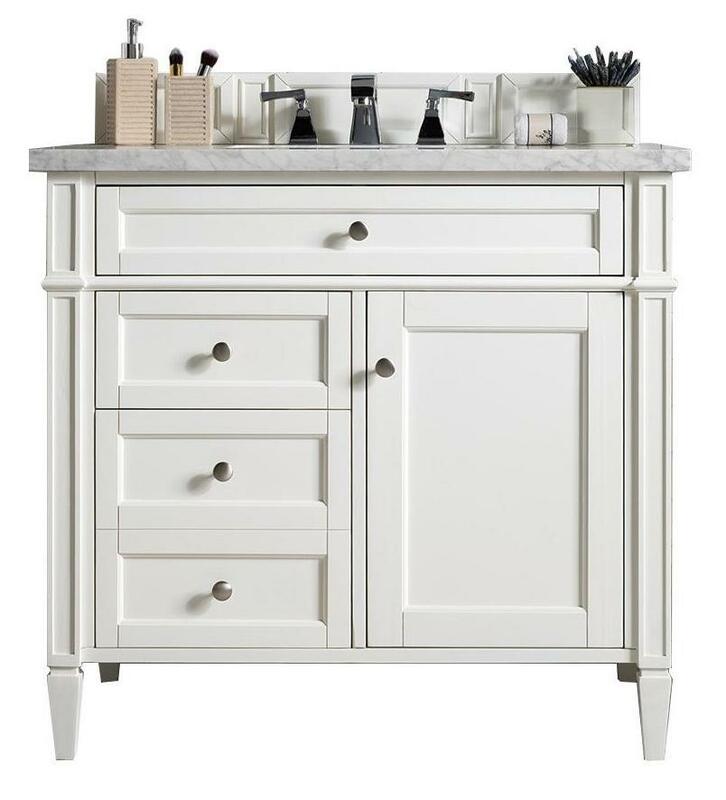 This beautiful piece of furniture includes one hide-away tip out, top row drawer plus two full-depth side drawers, one of which is double-height for storage of taller items. This cabinet also has one door, which conceals an interior shelf, for ample storage. 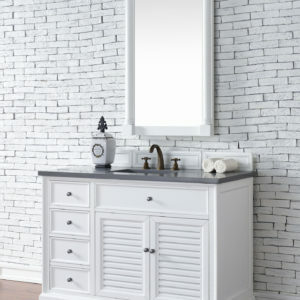 Hand crafted in Birch solids and Birch veneers with Satin Nickel hardware. Matching wood backsplash is included. 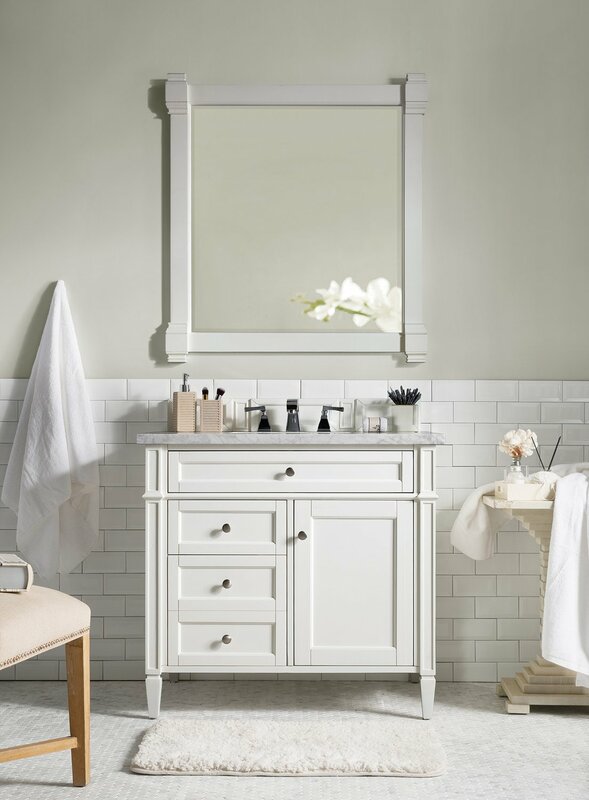 The Brittany 36″ Cottage White vanity by James Martin features classic details with bridge both Traditional and Transitional styles. This beautiful piece of furniture includes one hide-away tip out, top row drawer plus two full-depth side drawers, one of which is double-height for storage of taller items. 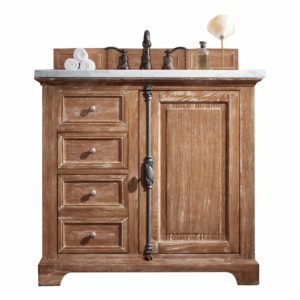 This cabinet also has one door, which conceals an interior shelf, for ample storage. Handcrafted in Birch solids and Birch veneers with Satin Nickel hardware. Matching wood backsplash is included. Subtle Luxury. James Martin’s most popular collection; Brittany was designed to merge traditional and transitional tastes. The tapered legs are a nod to the past, but the restrained use of ornamentation suggests a modern aesthetic. 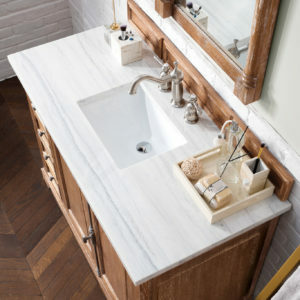 Interior space and storage are ample, including our top row tip out drawers which utilize the space in front of the sink. 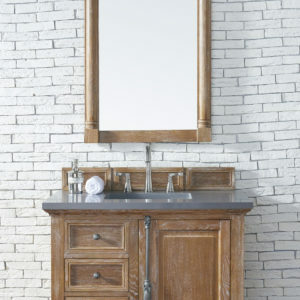 Cabinets are crafted from kiln-dried North American Birch and White Poplar hardwoods. Six widths of the cabinet are offered in the Brittany series, and are available in Four colors; Burnished Mahogany / Cottage White / Urban Gray/ Black Onyx. Three widths of coordinating mirrors will add finishing touches to your room.